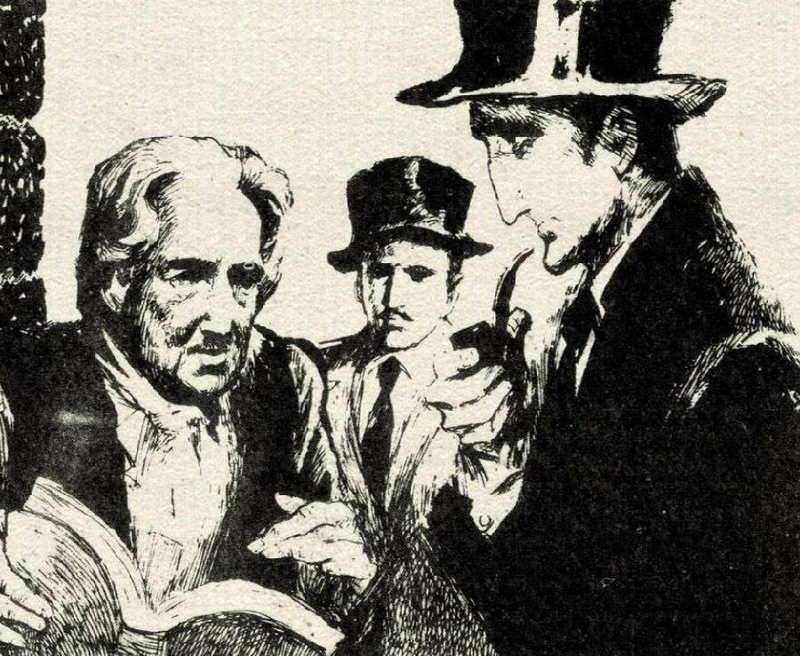 "Mrs. Oakshott, 117, Brixton Road–249," read Holmes. Holmes turned to the page indicated. "Here you are, 'Mrs. Oakshott, 117, Brixton Road, egg and poultry supplier.'" " 'Sold to Mr. Windigate of the Alpha, at 12s.'" Sherlock Holmes looked deeply chagrined. turning away with the air of a man whose disgust is too deep for words.